While there's an influenza outbreak taking place in the US, there's a different kind of fever overtaking the citizens of Vietnam. 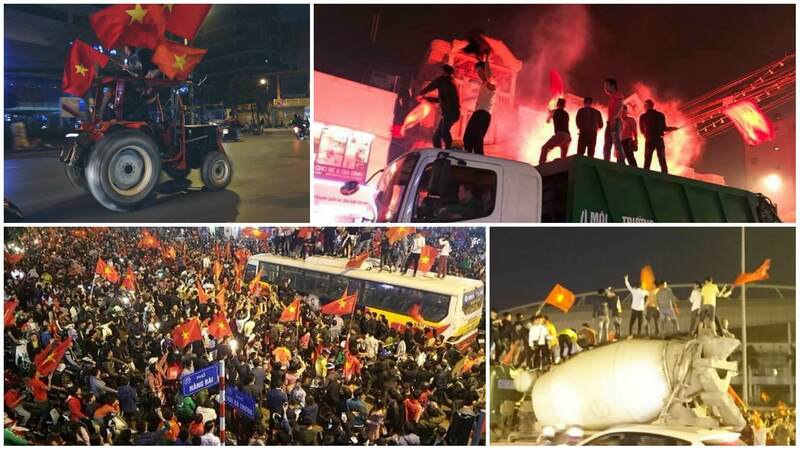 U23 fever has the entire nation of Vietnam in the streets, cheering "Việt Nam Cố Lên!" In true underdog fashion, the Vietnamese U23 (under-23) football/soccer team became the first Southeast Asian team to reach the AFC U23 Finals with a dramatic come from behind victory over Qatar earlier this week on penalty kicks. Like Philadelphia Eagles fans climbing up Crisco-greased poles to celebrate their sports team getting to the Championship game, Vietnamese fans flooded the streets of Nam to celebrate their team's historic victory in what I can only describe as madness. Will the Vietnamese U23 team complete their magical run by defeating Uzbekistan in the Championship game set to take place this Saturday? No matter what happens, Vietnam's U23 team has already made history by becoming the most successful SEA team in AFC history. Prior to this year, no SEA team has ever made it out of the group stage. Vietnam not only made it out, defeating powerhouse Australia in the process, they defeated Iraq (on penalties) in their quarter-final game before moving on to defeat Qatar in the semis. U23 fever is at an all time high, and it's hard not to get caught up in it. From underground to professional artists, everyone has that U23 Vietnam fever! U23 Việt Nam! Whooh! Cinderella has found her dancing shoes, and she's ready to dance the night away. U23 has been an inspiration to the youth of Vietnam and all those who dare to dream. No professional recording equipment? No problem! We still doing this! U23 Việt Nam! Whooh! We in this b*tch!!! This video is a parody song of the popular Superbrothers x Karik x Orange song Người Lạ Ơi. 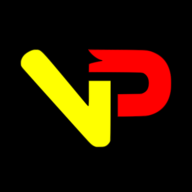 Just when you thought it was hopeless for an underdog team like Vietnam to ever defeat the powerhouse nations of the world in a sports competition, the spark of hope ignites. Let the battle cry of coach Rudy T. ring out to all those those non-believers out there. Don't ever underestimate the heart of a champion! With U23 excitement running wild, MONSTAR didn't past up the chance to cheer on the U23 team while promoting their upcoming song releases. I'll tell you this. Sometimes when your team is falling apart, you need a hero to emerge to carry the entire team on his or her back. Grey-D, in my opinion, is that hero when it comes to MONSTAR as a group. He's out there playing hero ball, doing everything possible to get a below average group of singers to overachieve. There, I said it! Nicky and Key are subpar singers. All they can do is sit there and look pretty. But sometimes it isn't about how much overall talent a team has, it is about the teamwork and sacrifice needed to achieve a common goal. Singer Phan Mạnh Quỳnh took a break from releasing his usual depressing AF songs to cheer on U23 in his latest song Hãy Cho Chúng Tôi Thấy. Something tells me Phan Mạnh Quỳnh will cry no matter what happens in the Championship game. Damn, man. Why you always got to be so emo? Vpop superstar Sơn Tùng M-TP has been on hiatus for a long time now. When will he get back to releasing new songs? I don't know. I know, however, that this M-TP song (released in 2015 for the SEA Games in Singapore) still gets me jazzed to root for the nation of Vietnam in sporting competitions.